It’s that time again. 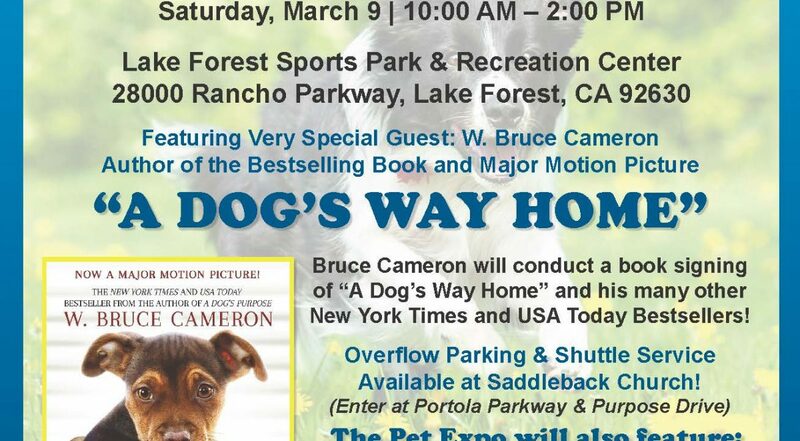 Supervisor Lisa Bartlett, The City of Lake Forest, Saddleback Church and The Pet Adoption Center of Orange County are sponsoring the 4th annual South County Pet Expo. If you are a rescue group, or have a pet-related product or service, we want you to join us by signing up for a booth. For booth sponsorship details, click here.